John Wesley “Brother” Riley, age 93, passed away on Tuesday, January 15, 2019 in Houston, Texas. He was born on December 15, 1925 in Freer, Texas to Ernest and Orpha Riley. He was known as Wesley by his family, as John by his co-workers, and as Brother by his most recent Houston friends. 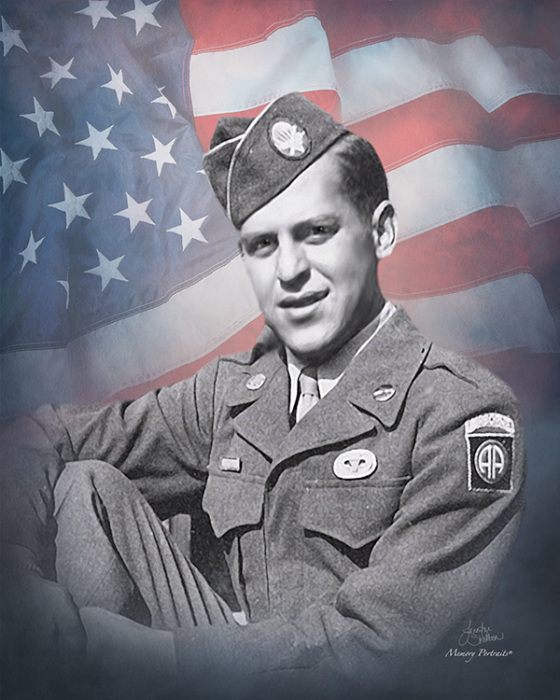 He was called to duty in 1943 and proudly served with the 82nd Airborne Battalion as part of the 508th Parachute Infantry in the United State Army. He fought in the European Theatre and eventually his infantry was assigned to fight in the Battle of the Bulge. After the war he stayed on for one more year to work as a chef and travel Europe on his motorcycle to see the sites. Upon returning home, he went to work as an industrial sandblaster and painter until his retirement. He is preceded in death by his parents, Ernest and Orpha, and by his brothers, Hollis, Olan, Russell, and his sister, Adlee. Wesley is survived by his two brothers, Robert (Irene) Riley and Raymond Riley; by his two sisters, Diane Ragsdale and Mary Kitchens; by his step-son, J.B. (Sonny) Tally; as well as nieces, nephews and a host of friends. Visitation will be held from 11:00 a.m. to 12:30 p.m. on Saturday, January 19, 2019 at Holmgreen Mortuary Chapel. Graveside Service will follow at 2:00 p.m. with Military Honors at Roselawn Memorial Park in Alice, Texas.